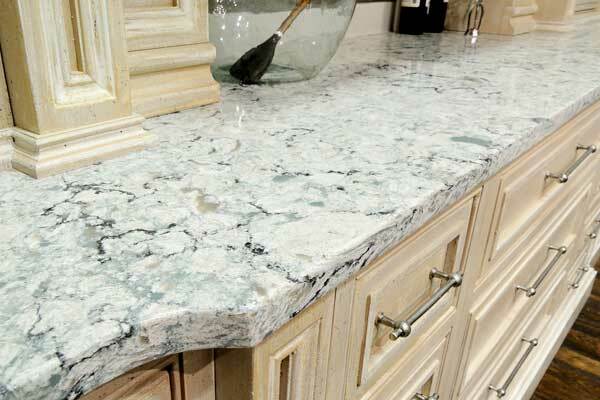 Complete your Kitchen or Bath Remodel with a gorgeous new Countertop! Highlight your unique style and accentuate the beauty of your cabinets with a brand new countertop. Need a little help? Our professional designers would be happy to assist in choosing a decorative and durable surface in line with your taste and budget. Braun Building Center is proud to offer a huge selection of name brands you can trust. We can also recommend local installation experts with proven reputations. Browse our beautiful showrooms for inspiration. 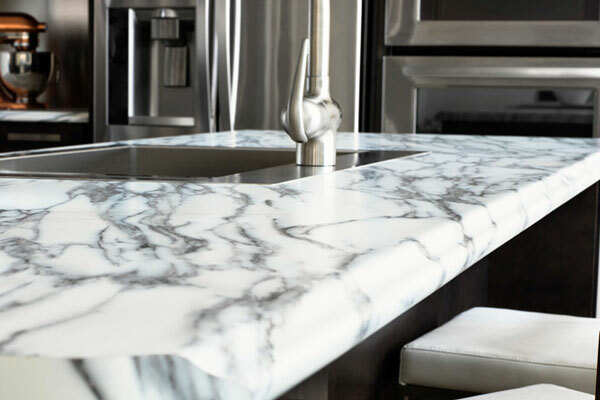 From stylish solid surface to premium high definition laminate, we carry the best in countertop manufacturers including including Cambria, Wilsonart, Nevamar, Sensa Granite, Silestone, Corian Quartz, Pionite, Formica, Dekton, Corian Solid Surfaces, and Arborite. Looking for new cabinetry, too? Find out more about the beautiful and functional lines of cabinetry that Braun Building Center carries. 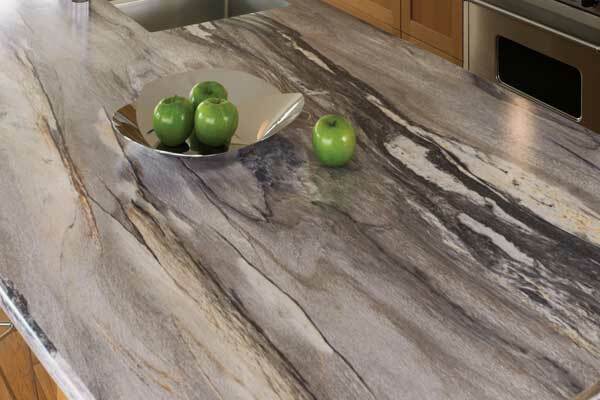 Rich, radiant, lustrous…discover the natural beauty of stunning Cambria Quartz Countertops. 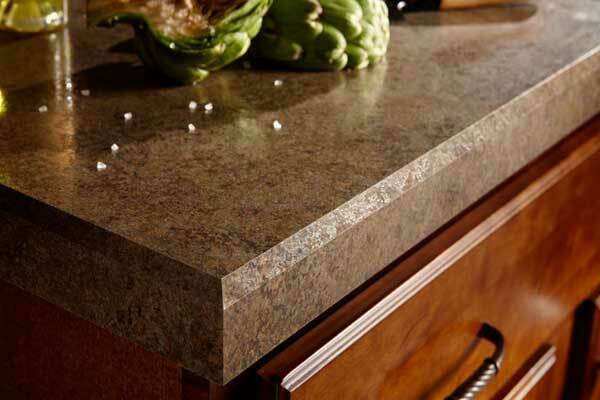 Cambria adds beauty to your kitchen and elegance to your bath. Light-capturing crystals of pure quartz bring a feeling of luxury to any setting. 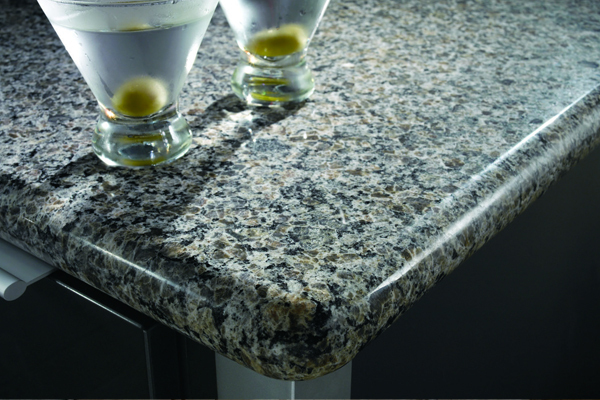 Plus, Cambria is available in a wide variety of designer colors. 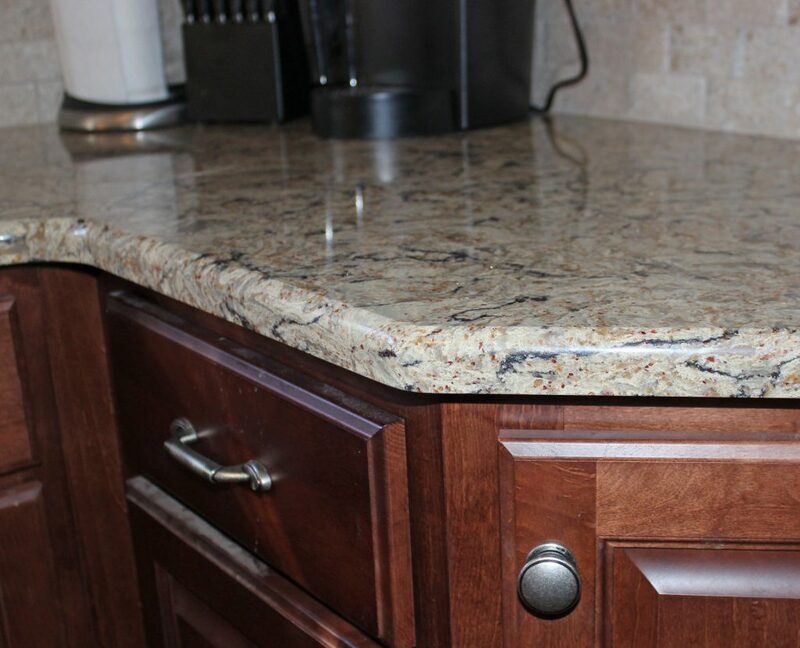 Quartz is stain, heat and scratch resistant, twice as strong as granite, and is non-porous, food prep safe and carries a 10-year Residential Limited Warranty. With Corian® Solid Surfaces you get the ultimate freedom of expression in kitchen design, combining enduring beauty with valuable functionality. Patterns, texture, curves, light – the options are limitless with Corian. Corian is available in a wide variety of hues, tones and colors for every design sensibility and specialized application. Nonporous and stain-resistant, Corian is easy to clean making it an ideal surface for kitchens and baths. Corian® Quartz Surfaces bring the best of nature and science to contemporary residential and commercial design. Engineered with pure quartz crystals, beaming with diamond-like radiance, Corian® Quartz is visually striking – and utterly unique. The sparkling crystal within Corian® Quartz balances stunning light-play with mesmerizing depth. Long-lasting and GREENGUARD Certified as a low emitting material, Corian® Quartz is a high-performance material, delivering strength and heat and scratch resistance. With innovative designs and an enduring color palette, Corian® Quartz will make all of your home design aspirations come true. Rest easy knowing you’ve picked a surface to last a lifetime! Turn your kitchen or bath into an ultra unique space with Dekton Ultracompact Surfaces. Dekton countertops have a completely uniform, clean surface nice to the touch and resistant to daily culinary tasks over years of use. Dekton fits seamlessly into many diverse design styles. These surfaces are made of an ultra-sophisticated material perfect for busy everyday life. Dekton surfaces make day to day food preparation a pleasant experience and the sharing a meal with friends or family truly pleasurable. 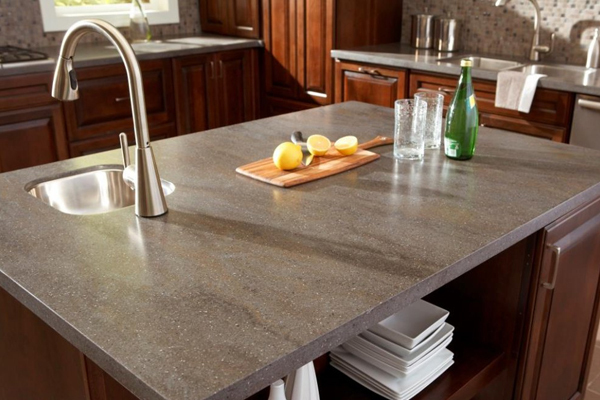 Add an elegant touch to your kitchen with Sense by Cosentino, a high quality natural granite surface that offers such reliable performance it comes with a 15-year certified guarantee. From Brazil and India, this beautifully exotic stone surface is available in a range of colors to combine with any decor scheme or project. 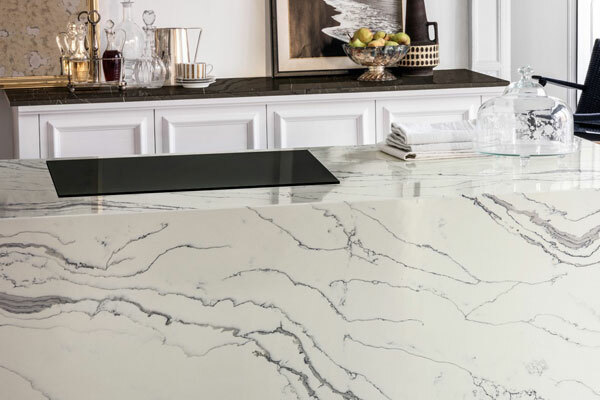 Thanks to nature, the Sense by Cosentino slabs are unique due to their different veining, textures and unrepeatable colors. Sensa granites have a revolutionary protective treatment that provides high stain resistance allowing you to continue to enjoy the natural beauty for a long time. In comparison with other granites, Sense is easy to maintain and simple to clean. Amongst the features responsible for this popularity are that Silestone quartz countertops present extreme durability in kitchen and bathroom spaces where traffic and daily use is high, and also the endless colors possibilities that are offered with this surface ensuring the perfect color for all designs and projects. Three textures available are polished, suede and volcano. Since 1942, Arborite has been bringing surfaces to life with decorative high pressure laminates. Arborite delivers inspired contemporary surfacing solutions in over 200 invigorating colors, premium textures, wood and stone looks. 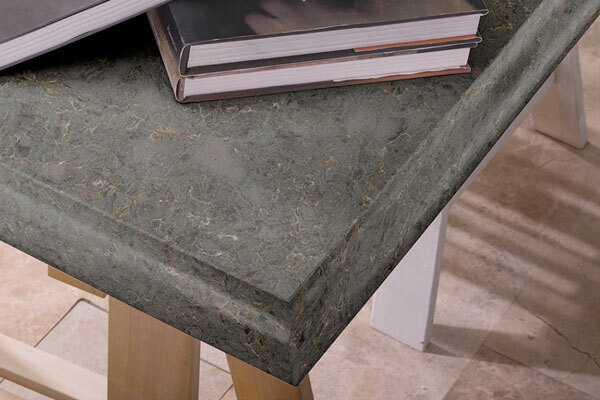 Arborite surfaces are stain, scratch and heat resistant. Explore the Arborite Standard, Premium, Specialty and Panorama Collections. Pick your color, pick your look, and take your kitchen from ordinary to extraordinary! 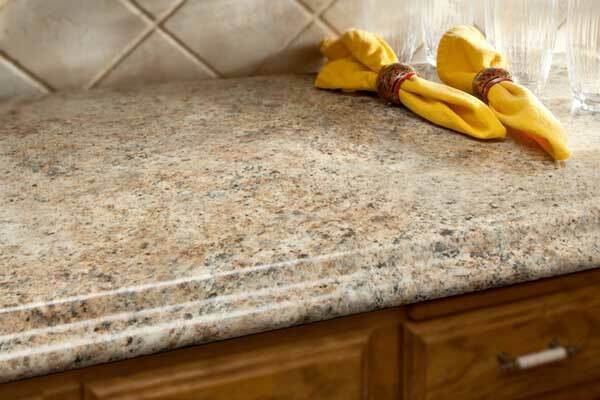 With Formica countertops, you’ll get lots of styles to choose from, easy-to-clean convenience, and a sensible price. 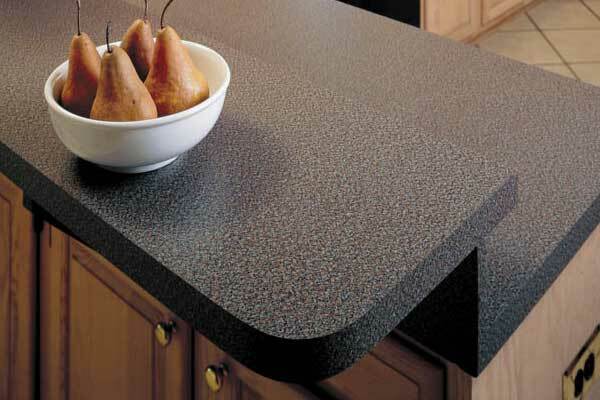 Formica laminate countertops have been a favorite for decades. 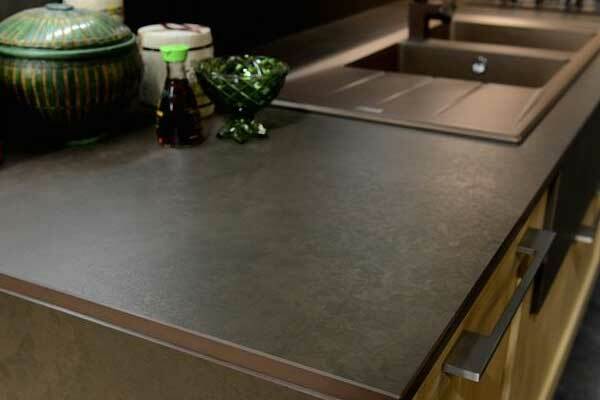 And with a long-standing history of advances in design and craftsmanship, today’s Formica countertops are more wear-resistant than ever before including Formica Group’s High Resolution Laminate, 180fx®, for modern, sophisticated high resolution, true-to-scale granite patterns. Nevamar Decorative Laminates feature their Armored Protection™ surface that incorporates a wear-resistant layer using aluminum oxide applied through a patented process. Aluminum oxide is a very tough material and it provides Nevamar laminates with wear protection that exceeds the NEMA industry standard for surface wear. Nevamar laminates are GREENGUARD® certified as low-emitting products which ensures they don’t produce harmful indoor air pollutants. Pionite® laminates are one of the top selling brands of laminates due to its large variety of colors and patterns for countertop surfacing. Pionite has many laminates that have special prints that look almost exactly like marble, granite, wood and even solid surfaces. Best of all, it is the most affordable surface. Pionite® Laminates are durable and consistent in appearance. With a large family of colors and patterns to choose from, Wilsonart® Laminate looks great in any setting. It combines the best of design, durability and value in a surfacing material created to withstand years of use. So when you’re ready for a surface that will give you the performance of a lifetime, just look to the Wilsonart family of laminates including Wilsonart HD – High Definition.